My wife liked the drawing so I made this to print and put up around the house. 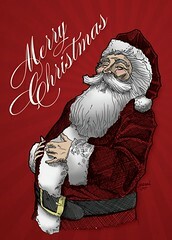 I might start a tradition and try to draw a santa every year. We'll see if that happens.